Port Orchard, Washington trio Mos Generator are known for hard-touring ways, and frontman/recording guru Tony Reed is widely respected for his plethora of influences and encyclopedic knowledge of obscure heavy rock. The dude even spends his fleeting spare time recording note-for-note versions of his favorite gems from the ‘70s. The band’s latest release, Abyssinia, finds Reed completely creatively unbound and sonically channeling everything from Wishbone Ash to Voivod to Pink Floyd, all while keeping one foot in the stoner-rock genre. 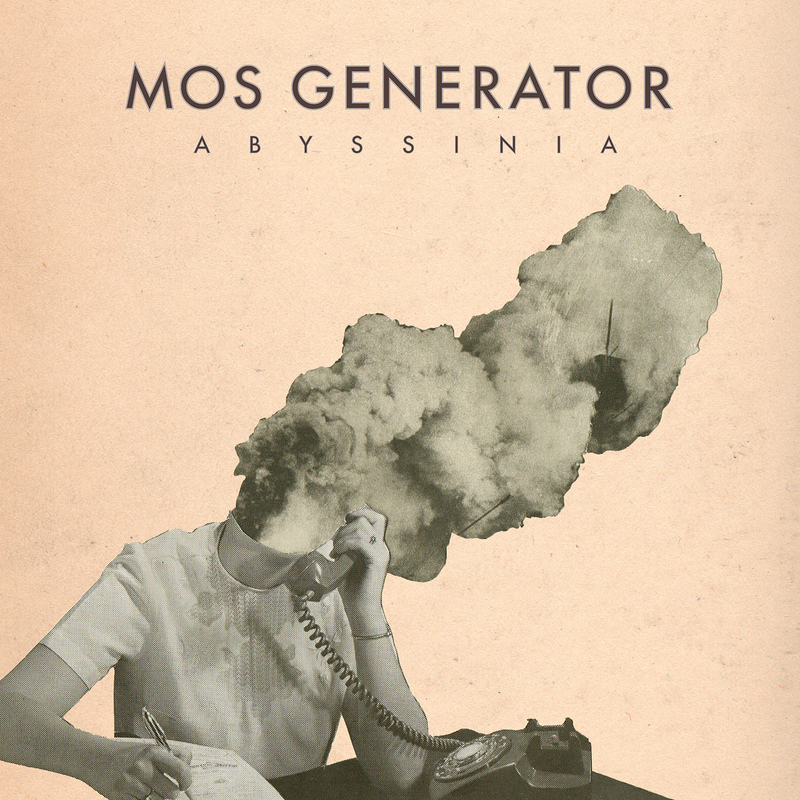 The album starts off with the “Strangest Times” and “You’ve Got a Right,” two hard-charging rockers that embody the best of what we’ve come to expect from Mos Generator: well-thought-out heavy rock with sweet riffing and a consistent, head-bobbing groove. Lumbering “Easy Evil” and “Red Canyons” continue that vibe. Things start to get interesting on “Catspaw,” a 3/4 time dervish of a song that reaches past traditional stoner rock into slightly more experimental territory. “Time & Other Thieves” takes the experimentation further with a full-on prog rock synthesizer freak-out in the middle of the song. The standout track, however, is the closer, “Outlander,” which begins where “Time & Other Thieves,” leaves off: with an organ riff that hearkens back to Pink Floyd’s most psychedelic jams. Reed is vocally and lyrically at his finest as he sings of astral travel, hope and longing. The song builds to a crescendo with a sweet solo and a shimmering riff that recalls the Beatles at their heaviest. It’s a striking end to one of the most satisfying and ground-breaking releases of the year.